If you have shell access, You can generate .htpasswd file using command line. First create the directory structure where you want to place this file. It will good to put this file outside of document root. Now use following command to create first user in .htpasswd. cPanel users can can use their dashboard to generate this file. If you don’t have shell access, you can use online htpasswd generator it and put on your server. Now create a .htaccess under wp-admin directory on server and put following content. Update the location of AuthUserFile properly as per location of .htpasswd on your server. Now visit your WordPress website home page, It will not prompt for any password. 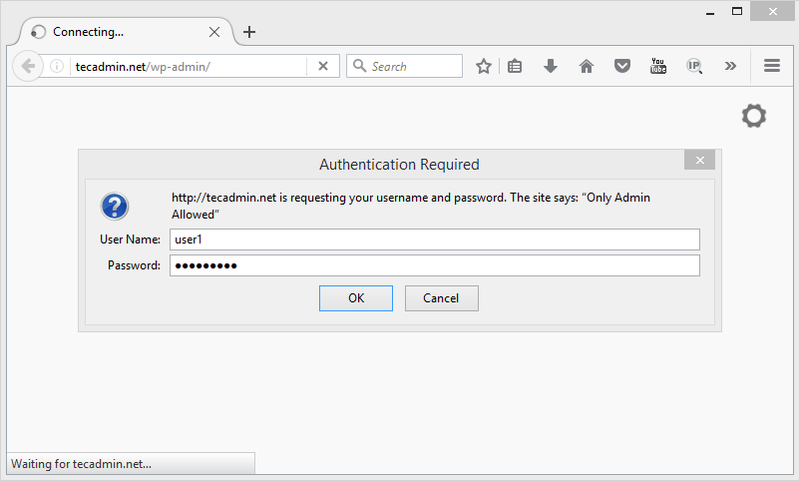 But when you navigate to wp-admin directory, It will prompt for authentication.